This is the first instalment of specials called “Japan Hacks” which is about how to prepare and visit Japan if you are a first timer only going for a few weeks. These will be posted as I’m in Japan on my own short holiday and experiencing it as a tourist. Because of this they will be short and to the point. Why do you want to go to Japan? What do you most want to see? Is it Japan’s history, or art, or popular culture that you want to see? Make a list of what interests you the most so you can plan your trip around that. When do you want to/can you go to Japan? Are you better suited for cold or hot weather or neither? (Japan can have very extreme summers and winters.) 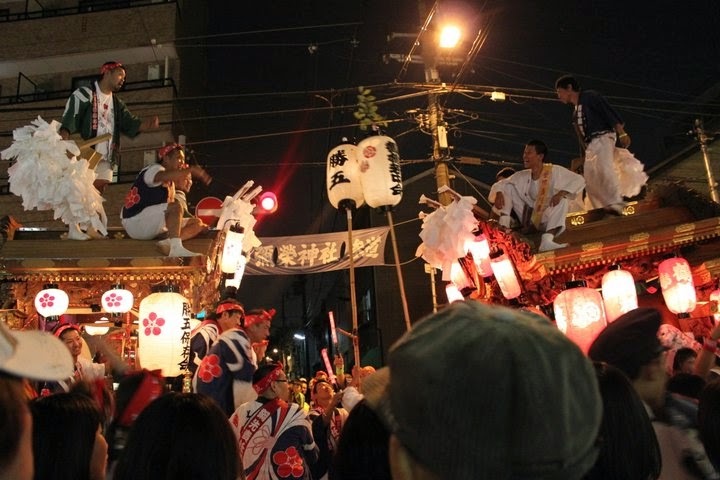 Or perhaps you’re more interested in festivals, in which case you can look up when certain festivals are. How long can you/do you want to go? I always recommend at least 10-14 days. It’s so far (from most English speaking countries) and there’s so much to see that any less wouldn’t be enough, even 10 days is rushing it. Once you have a general idea of what you want to do and where you want to go do your research. You can easily google most of this stuff and read about other people’s experiences and advice. Although keep in mind that although everyone might have gone to Kyoto to see the Gold Temple, it might not be your cup of tea. Don’t feel like you have to go somewhere just because everyone else does. Some of the best experiences I’ve had have been off the beaten track and some of the more spontaneous and less well known events and locations. Such as Korea Town in Osaka, where they hold an Aki Matsuri, or Autumn Festival in the fall, which is now one of my favourite locations and favourite events, but also one of the least well known ones by foreign tourists. Book your flights and accommodation at least 6 months in advance. And on a Tuesday. Needless to say the sooner you book your flight the better. It will be cheaper and you tend to get better deals. Use a compare website such as expedia or skyscanner as well.But why a Tuesday? Well it’s apparently one of the least likely days that someone will book a holiday on, meaning most prices will have dropped to encourage people to book things on Tuesdays. I don’t know how true this is but from my experience, it works. That, or at least NOT a Friday, Saturday, Sunday or Monday, when prices are increased. Travel with someone and split the accomodation costs. Airbnb is a company a friend recently pointed me to (and what we’re using on this trip). They’re a lot nicer and cheaper than using hotels, at least within the larger cities like Kyoto and Tokyo. Eating dinner out is standard when you go on holiday, but often breakfast and lunch might be on the go. Rather than going to the nearest “conbini” (which are everywhere) and picking up a sandwhich, go to the supermarket and stock up on supplies for breakfast and lunch. It’ll be easier and often cheaper (especially in the big cities), although will require forward planning to find out where they are. Money/Card to get money: It’s often cheaper to withdraw cash in Japan, but do your research and let your bank know when you’re going!!! Appropriate clothes for the weather: spring might be warm in your country, but in Japan it can get cold, so don’t forget a coat. Likewise, there’s no point taking a coat in the summer when it’s very hot. Sensible shoes! You will almost definatly be walking a lot. So take good shoes, not heels. Wash things and deodorant: Japanese people are biologically different to westerners, so you might want to take your own wash things rather than buying any out there which have been specially made for Japanese bodies. Space in your suitcase for presents and souvenirs. Do you have any of your own tips for preparing for Japan? Please leave a comment/your thoughts. Tagged Prepare for Japan, Trip to Japan.